Tonight, authorities are investigating another deadly fall, this time, a popular college athlete. They believe she was posing for a group photo right beforehand. And here's ABC's linsey Davis. 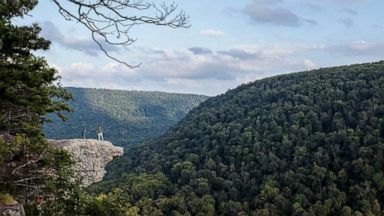 Reporter: The family of 20-year-old college student Andrea Norton is in mourning tonight, after she took a fatal fall, tumbling off of Arkansas' most photographed hiking spots. It sounds like she just fell off the tip of the crag. Reporter: Norton was on a class trip in ozark-st. Francis national forest. Police are investigating initial reports she was posing for pictures with friends when she lost her footing and fell 100 feet. Witness accounts indicate that she was jumping from one area of the rock formation to another, and just lost her footing and stumbled and fell. Reporter: Norton's volleyball teammates displaying her Jersey in tribute. 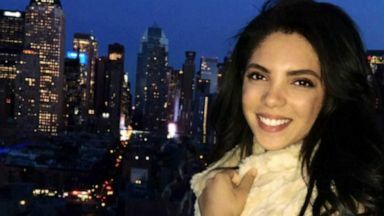 This tragedy, just days after another college student fell to her death from a bell tower at Fordham university in New York. Female fell from a high location. Reporter: 22-year-old Sydney monfries reportedly posted a Snapchat video showing her sneaking into the tower moments before the accident. And in Andrea's case, the rock formation was so remote, it took first responders about an hour to get to her. It's just a reminder to us all about how careful you need to be in these dangerous areas. David? Just awful. All right, Linzie, thank you.